CLOSEOUT ! These US flags are great for promotions and decorations. Enhance your car lot or business with our shiny promotional American flags. Fully dyed on a wooven knit polyester. Finished with standard header and grommets. 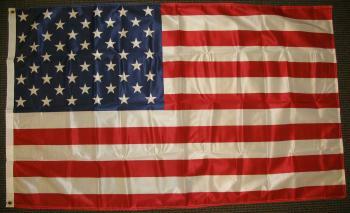 Durable American flags at a closeout price!